This Christmas we’re mounting a tour along the Romantic Road, in Bavaria Germany. The Romantic Road links all the medieval story-book towns in Bavaria – towns like you’d see in a Disney movie. And in that month before Christmas, all these towns have their Christmas Markets open in the main square. 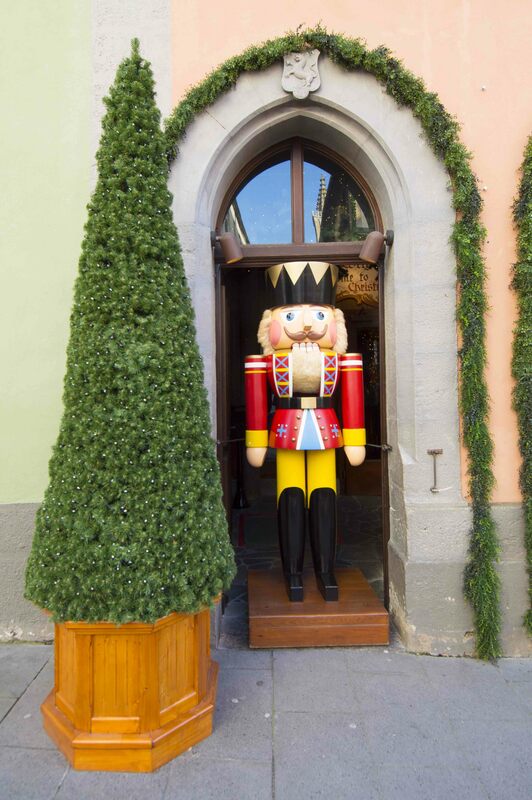 The Christmas Markets sell locally made handcrafts – Christmas decorations, nativity sets, and other wonderful Christmas stuff – plus there are markets that sell Christmas foods from the region. With a bit of luck it might even snow during the tour too! Jennifer and I traveled the Romantic Road in late November in 2013. We already have definite commitments for this tour. It will include a night in the historic centre of Frankfurt, then seven nights staying in the glorious towns on the Romantic Road, and then two nights in a luxury boutique hotel in the Old Town of Munich. The hotel is a 2 minute walk from the centre square and markets, and it’s just around the corner from the city’s most famous beer-hall. I’ve stayed in this hotel several times in the past and it’s in the best location possible – and it’s authentically Bavarian. Bill, I live in Stuttgart. Any chance of linking up? I’d like a chance to finally have some face time. Hi Kathy – that’s not far from where we’ll be… it would be great to meet you! !